Joseph Mott wants to know if he can put applications, specifically Microsoft Office applications like Word and Excel, onto a flash drive. There are applications you can put on a flash drive, but they must be designed with that in mind. And the Microsoft Office applications were not designed for such portability. Think about how you put most Windows applications onto your PC: You don't just copy the files, you run an installation program. That program integrates the application into Windows, changing the Registry and altering the operating system. (By the way, this is a large part of the reason why Windows becomes less reliable with time and sometimes has to be reinstalled from scratch--too many OS-altering installations.) Clearly, if you simply copied the program folder to a flash drive and tried running it on another computer, you're going to be disappointed. A portable program is one that was specifically designed to not need an installation, and thus work from a flash drive. A well-designed portable program will not alter the Registry or otherwise leave any trace of itself on a computer. There are a huge number of portable programs available, many of them free. There are portable browsers, graphic editors, media players, and programming tools. (Yes, I'll be getting to Office applications in a moment.) And utilities. I keep a flash drive with assorted portable diagnostic tools that come in handy when someone asks me to help them with their computer. Then there's PortableApps.com, which creates and gives away portable versions of existing free, open source software. 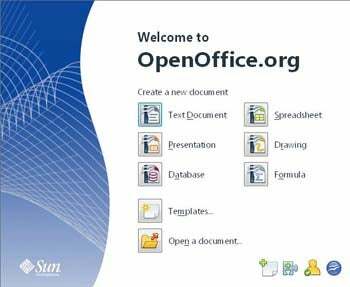 There you'll find your Office solution, a portable version of OpenOffice, the popular, free alternative to Microsoft Office. It doesn't do everything Microsoft Office can do, but it does enough for most people. For more flashdrive-friendly programs, check out Wikipedia's list of portable software, as well as a similar list at makeuseof.com.